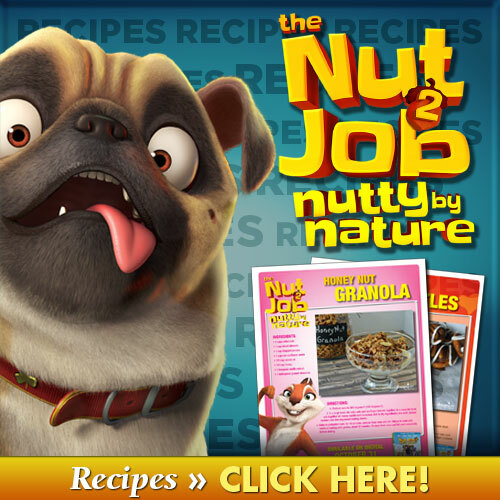 Welcome to The Nut Job 2 Prize package giveaway! This is a sponsored conversation written by Wrapped Up N U on behalf of The Nut Job 2. Get ready for another nutty adventure with the gang of The Nut Job 2! I want to go nuts and watch this with my daughter. My 5 year old grandson would be laughing a lot with this DVD of The Nut Job. I would probably be laughing so hard that I'd have to hold my sides. Would love to watch with my nephew! I want to go nuts and watch this with my family and extended family.The kids would love to watch it with their friends that come over. I'd love to watch this movie with my kids.